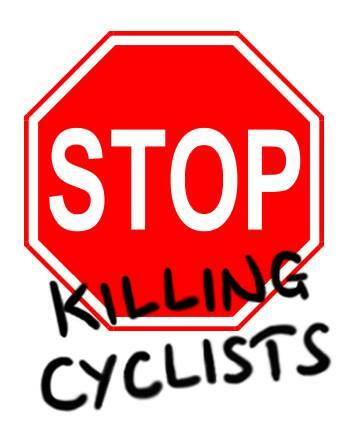 Stop Killing Cyclists – Pollution / Bike Safety Protest Vigils/Die-Ins! What: Stop Killing Cyclists are staging a protest Vigil and Die-In outside the Tory Party Headquarters, demanding that they increase investment in clean-air protected cycling infrastructure to 10% of the transport budget by 2020. When: Friday 26th May Tory Party Protest Vigil/Die In from 5pm to 6.45pm. Protesters are asked to bring gas masks and candles. These will symbolise the thousands of UK children, whose lungs are being stunted from living on traffic polluted streets or attending polluted schools. The protest will include a Die-In, where protesters will lie down on the road outside the Tory Party HQ, to represent the estimated 280,000 premature deaths of Britons from transport pollution and another estimated 158,000 premature deaths from inactivity diseases due to lack of protected cycle lanes since the Tory Party gained power in 2010. Clean air, cycling and walking are crucial to creating a healthy and sustainable UK. They are urgently needed to tackle the UK’s obesity, inactivity, transport pollution, health and climate emergencies. Successive governments have lethally underfunded active travel and current spending plans would further reduce the cycling infrastructure budget to less than £1 per person in England. This compares with the Dutch investment of about £24 per person per year. ⦁ Despite taxi numbers in London soaring above 100,000, government refusing to allow TfL to regulate taxi numbers in London. ⦁ Osborne slashed the already miniscule funding for cycling investment to a tiny pathetic 6% of what Dutch are spending, whilst allocating billions more to road-building. ⦁ Osborne has cut fuel duty at every single budget despite oil prices having fallen by over a third since 2012. ⦁ Government banned use of camera vehicles by local councils to enforce parking restrictions. ⦁ They refused to reduce speed limits to 60 mph on M1 and M3 help reduce frequency of EU pollution levels being breached. ⦁ Chancellor extended first MOT requirement from 3 to 4 years., thus enabling faulty polluting vehicles to be undetected on the roads for yet another year. 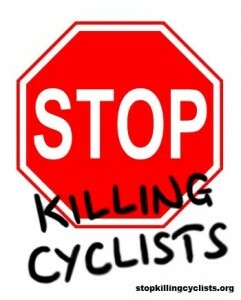 Stop Killing Cyclists – Pollution / Bike Safety Protest Vigil/Die-Ins! What: Stop Killing Cyclists are staging a protest Vigil and Die-In outside the labour Party Headquarters, demanding that their general election manifesto commits to increase investment in clean-air protected cycling infrastructure to 10% of the transport budget by 2020. When: Friday 19th May from 5pm to 6.45pm . Protesters are asked to bring gas masks and candles. These will symbolise the thousands of UK children, whose lungs are being stunted from living on traffic polluted streets, attending polluted schools or playing in polluted parks. The protest will include a Die-In, where protesters will lie down on the road outside the Labour Party HQ, to represent the tens of premature deaths of Britons from transport pollution and from inactivity diseases due to lack of protected cycle lanes under the previous Labour government. Successive governments have lethally underfunded active travel and current spending plans would further reduce the central government cycling infrastructure budget to less than £1 per person in England. This compares with the Dutch investment of about £24 per person per year. The Labour Party must urgently commit to radically increasing the funding for cycling from the current less than 2%, to 10% by 2020. This is a modest amount when one compares it to the £27.5 billion being spent on just one new proposed suburban commuter railway in London, but would protect people on roads all over the country and not just commuters in one part of London.